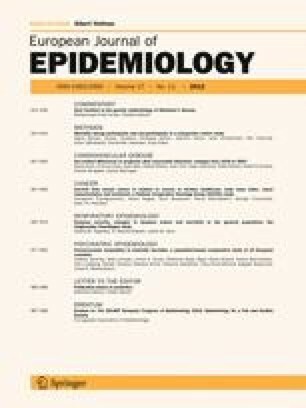 Recent research has suggested that violent mortality may be socially patterned and a potentially important source of health inequalities within and between countries. Against this background the current study assessed socioeconomic inequalities in homicide mortality across Europe. To do this, longitudinal and cross-sectional data were obtained from mortality registers and population censuses in 12 European countries. Educational level was used to indicate socioeconomic position. Age-standardized mortality rates were calculated for post, upper and lower secondary or less educational groups. The magnitude of inequalities was assessed using the relative and slope index of inequality. The analysis focused on the 35–64 age group. Educational inequalities in homicide mortality were present in all countries. Absolute inequalities in homicide mortality were larger in the eastern part of Europe and in Finland, consistent with their higher overall homicide rates. They contributed 2.5 % at most (in Estonia) to the inequalities in total mortality. Relative inequalities were high in the northern and eastern part of Europe, but were low in Belgium, Switzerland and Slovenia. Patterns were less consistent among women. Socioeconomic inequalities in homicide are thus a universal phenomenon in Europe. Wide-ranging social and inter-sectoral health policies are now needed to address the risk of violent victimization that target both potential offenders and victims. This work was supported by the Health and Consumer Protection Directorate-General of the European Union [Eurothine—grant number 2003, 125] for the data collection and harmonization. Andrew Stickley and Mall Leinsalu’s work was supported by the Swedish Foundation for Baltic and East European Studies [Health and Population Developments in Eastern Europe—grant number A052-10]. ERASMUS MC. Eurothine home. http://survey.erasmusmc.nl/eurothine/. Accessed 20 June 2011. UNESCO. International standard classification of education: ISCED 1997. Paris: UNESCO; 1997. http://www.unesco.org/education/information/nfsunesco/doc/isced_1997.htm Accessed 26 Jan 2011. World Health Organization. Detailed Mortality Database (DMDB). http://data.euro.who.int/dmdb. Accessed 31 Aug 2011. World Health Organization. Health for All Mortality Database (HFA-DB) user manual http://www.euro.who.int/hfadb. Accessed 26 January 2011.